In Kenya, withdrawing money from PayPal has been a big challenge. It could take up to 7 days to access your cash after withdrawal, sometimes having to contend with painful foreign exchange rates. Many brokers have curved their niche in this lucrative business making a killing by providing instant cash in local currency while taking their cut over and above the prevailing market exchange rates. That was until this tweet came along. Many of these brokers are going to lose business. Their only chance of survival now is to take a cut below what M-Pesa is offering and provide instant cash. PayPal users can now send and receive money between PayPal and M-Pesa without having to pass through a bank. In a deal signed between PayPal, Mpesa, and TransferTo, local merchants will be able to get access to more than 210 million active PayPal account holders and more than 18 million merchants globally. First, you must have both M-Pesa and PayPal accounts to use this service. Armed with these two accounts, head over to PayPal Mobile Money Service with M-Pesa. Follow the onscreen prompts as illustrated in the video below to activate your account and start using the service. This could see an enhancement in eCommerce by enabling people and businesses make secure and convenient transactions with any merchant globally. Users will be able to connect and transact with businesses in over 25 currencies. Kenyan users can also load money into their PayPal wallets from M-Pesa by using the M-Pesa PayBill number 800088. However, withdrawals can be either instant or take up to three days depending on the amount transacted. Receipts will comply with the prevailing M-Pesa daily limits of Ksh 70000 per transaction and Ksh 140000 per day. This could be the only bottleneck in the new development since Equity's service can handle larger transactions. Safaricom has more than 140000 agents in Kenya compared to Equity's 40000 outlets (branches and agents combined). This could give Safaricom an upper hand since most users do transactions within M-Pesa's range. If you have any question about this new service, click here for clarifications. Now that the battle line has been drawn, we are anticipating that many more players will join the craze to cash in on the growing foreign remittances niche. Consumers stand to benefit since competition will force the players to offer better exchange rates. 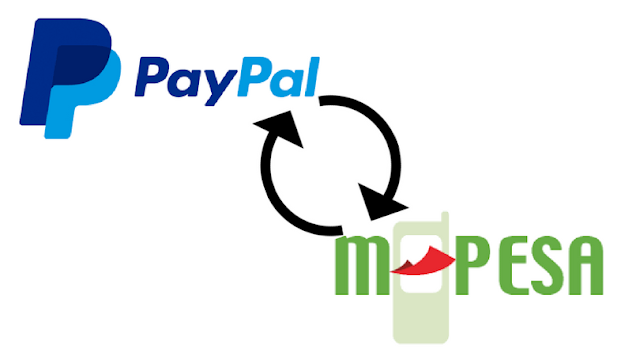 So, have you tried the new M-Pesa to PayPal money transfer service? Share with us your experience.